The Sydney Opera House is located due north from the Sydney city center. Located in the central harbor hub of the CBD, our iconic Sydney Opera House is a landmark that is renowned for its breathtaking landscapes and its cultural relevance. 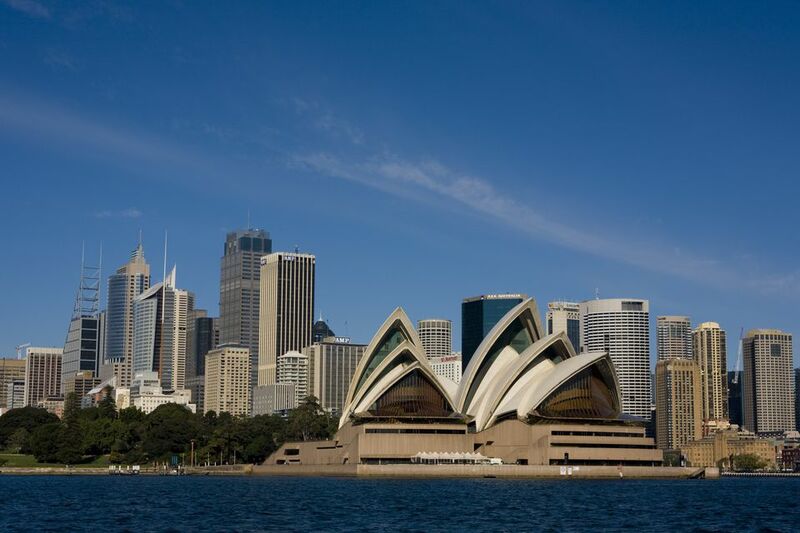 The Sydney Opera House was initially unveiled in 1973 and is undoubtedly one of Sydney’s most distinctive buildings. It lies on that finger of land called Bennelong Point that juts northward into Sydney Harbour's Port Jackson. Sydney Opera House lies roughly northeast of Circular Quay, Sydney's waterside transport hub, and across the water from the historic Rocks area. This places the Opera House right in among some of Sydney’s greatest features. Some of these features include the Museum of Contemporary Art and the original Pancakes on the Rocks restaurant. But of course the harbor is not limited to these places – some other highlights surrounding the harbor include the iconic Imax Theatre alongside the glorious Dendy Cinema. The Opera Houses location is one that is perfect for any tourist who dreams of getting that perfect shot of Sydney, whether it’s a silhouette against the Opera House herself or a picture against the backdrop of the Sydney Harbour Bridge. One of the most popular emerging attractions around the Opera House is the Opera Bar. Directly below the glorious landmark, this contemporary bar caters to trendy young things, tourists, business travelers and anybody else who wishes to have a great night by the harbor! If you’re coming from the Hyde Park area in central Sydney, head north on Macquarie St to the Sydney Opera House forecourt. A 15-minute walk will deposit you right next to the Sydney Opera House, which lies adjacent to the Sydney Royal Botanic Gardens, or you could catch a bus or a taxi. Being so close to the Botanic Gardens is convenient, as it allows tourists to visit both iconic spots within one visit. Nothing is more peaceful than getting to spend your hours freely strolling amongst the greatest creations that Mother Nature has to offer, then following it with a stroll around one of mankind’s most spectacular and iconic creations! With the Botanic Gardens being open all year round and being entirely free to enter for all ages, it’s a beautiful part of the city to explore. The Sydney Opera House is also in a general south-southeasterly direction to The Domain. The Domain is a location that is largely known for playing host to a wide array of events that are often free to the public. One example of this includes the Soapbox orators in the Domain, a well-loved event in which people debate about current affairs. On the other side of the Opera House are the Rocks, a historic and interesting stretch of cobblestone roads and beautiful restaurants and art boutiques. This idyllic building is a gorgeous piece of architecture that lies on right on the coastal edge of Sydney. With so many attractions and interesting areas of the city to explore within such close distance, visiting the impressive Opera House is a must of every traveler’s ‘to do’ list.